No Sweet and Sour Recipe is complete without making the sumptuous Sweet and Sour Sauce Recipe, (See my Sweet and Sour Meatballs Recipe) in fact almost all of us can agree that the sauce is what makes or breaks the dish. The Sauce needs to be a perfect blend and contrast of sweet, sour and salty. It needs to compliment the dish and not overpower it because of the flavors of the sauce, as said is responsible for making the meat stand out. The sauce also needs to be lump- free especially if you’re serving it to guests. It’s also perfect to prepare this alongside Chinese Lumpia, Pancit, Mami, Chinese Dimsum and Steamed Rice and don’t forget the Buchi and other sweet Chinese delicacies for dessert. 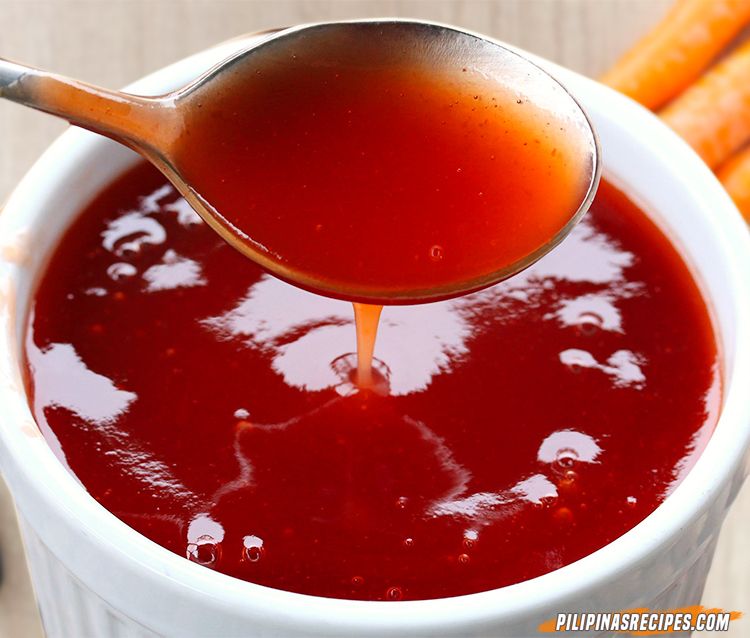 To make a delicious and appetizing meal, the Sweet and Sour Recipe Sauce Recipe must have the Basic Ingredients of Pineapple Juice, Vinegar, Ketchup (for color and taste, of course! ), Brown sugar, salt, cornstarch, oil and bell peppers; all these ingredients when mixed together create a sweet and sour sauce that tastes just right because it has enough amount of acid, sugar, and salt plus you need to have cornstarch to thicken the sauce and make it more presentable. You can also adorn it with pineapple chunks which make it sweeter and adds a different dimension to the dish. To make a delicious and appetizing meal, the Sweet and Sour Recipe Sauce Recipe must have the Basic Ingredients of Pineapple Juice, Vinegar, Ketchup (for color and taste, of course! ), Brown sugar, salt, cornstarch, oil and bell peppers; all these ingredients when mixed together create a sweet and sour sauce that tastes just right because it has enough amount of acid, sugar, and salt. In a Bowl, combine the pineapple juice, vinegar, ketchup, sugar, and salt. Add cornstarch and mix well until totally dispersed. In a Pan, pour cooking oil. Add bell peppers and cook, while stirring regularly, until softened. Add the liquid mixture and bring to a boil, while whisking regularly. Continue to cook, whisking regularly, for about 2 to 3 minutes or until sauce thickens. Remove from heat, let it cool and transfer to a container. 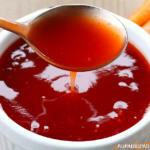 See this video to try a different way of making your own sweet and sour sauce. 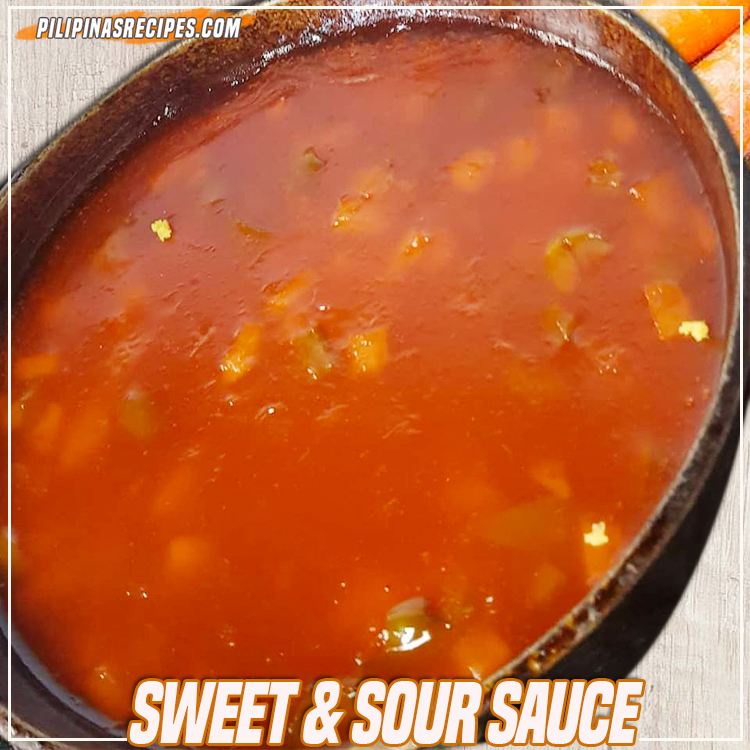 This Sweet and Sour Sauce Recipe needs to be consumed after you cooked it because it won’t be good anymore to eat it for tomorrow but this guarantees that everybody will be eating fresh foods. You can use this sauce on meat, fish, chicken and even vegetables which make it an all-around sauce. You can even try this sauce for your lumpia for a change. Eat with a few friends and have a Chinese setting lunch in the garden and just enjoy this sauce with other foods. Questions regarding the Recipe? Leave a comment below. Don’t forget to like our Official Facebook Page for more Pinoy Recipes. Thanks and Mabuhay!! This sauce is good. Just nice to match for my dish.